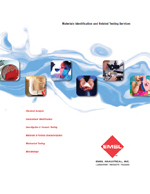 EMSL Analytical, Inc. has over 30 years of experience in supporting the analysis of air and dust samples in traditional indoor air quality (IAQ) testing regimes, and is a nationally recognized leader in asbestos and mold testing applications. 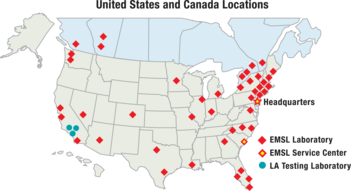 EMSL also supports their clients with industry leading customized analysis services to assist with clients’ needs that run outside of standard IAQ concerns. Increased sealing and isolation of the indoor air environment with newer building and insulation techniques can lead to on-going issues for clients with even a small amount of irritant material circulating through a home or office. The commingling of industrial, business and residential spaces creates new concerns over migration of manufacturing related particles and industrial residues into homes and workspaces. Our staff of Certified Industrial Hygienist (CIH) professionals and experienced analysts take the time to listen to clients concerns and help answer your IAQ questions with a considered investigative approach that allows us to address multiple types of components and serve the client’s needs with comprehensive analysis.